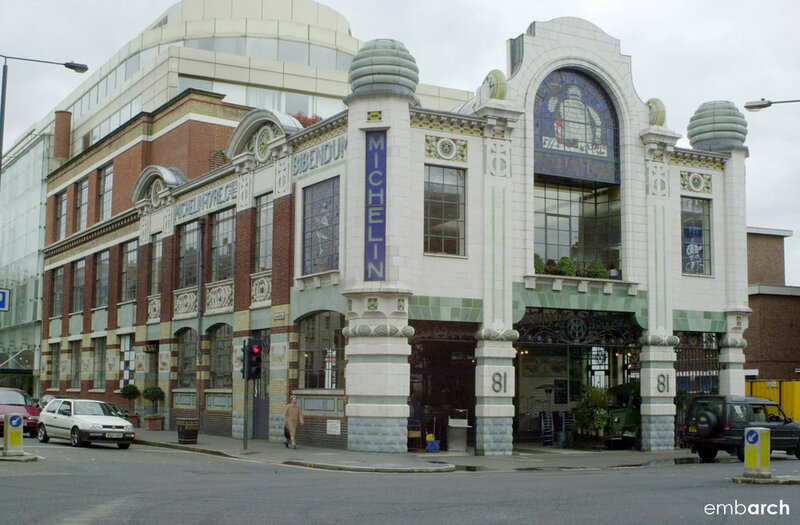 The Michelin Building displays elements of Art Nouveau as well as Art Deco, an architectural style that was beginning to take shape in France around the time the Michelin company was establishing its British branch. However, the fact that the building was designed by a company employee with no formal architectural training — probably with input from brothers and Michelin company founders Édouard and André Michelin, who were known for their creative and visionary work — meant that it displayed a certain disregard for rigid stylistic constraints. The use of concrete construction, which was a nascent method at the time, allowed for the creation of large open floor spaces. The building now houses a restaurant, shops and offices.